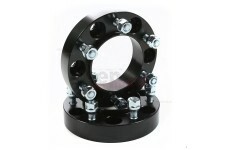 This pair of 1.375 inch black aluminum wheel adapters from Rugged Ridge convert a 5x4.5 inch to a 5x5 inch bolt pattern. 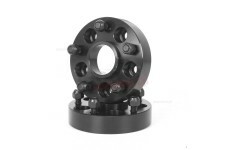 This pair of black 1.25 inch forged aluminum wheel spacers from Rugged Ridge fit 96-13 Toyota 4Runners, Tundras, Tacomas, and FJ Cruisers. 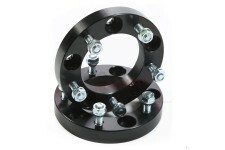 This pair of black 1 inch thick forged aluminum wheel spacers from Rugged Ridge fit 86-05 Suzuki models. 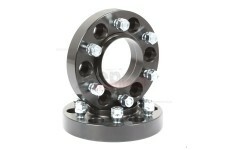 Includes lug nuts. 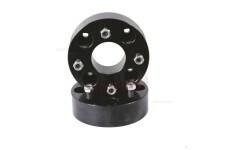 This pair of 1.25 inch thick black aluminum wheel spacers from Rugged Ridge fit 07-17 Toyota Tundra pickups. 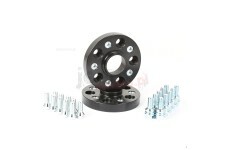 This set of 1 inch or 25mm black wheel spacers from Rugged Ridge fit 10-17 Volkswagen Amarok. 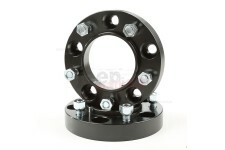 With 5X120 bolt pattern and 2.5"/64mm bore. 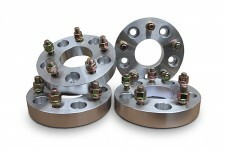 This pair of 1.75-inch 6061T6 aluminum spacers from Rugged Ridge fits 04-11 Yamaha Rhino UTVs.